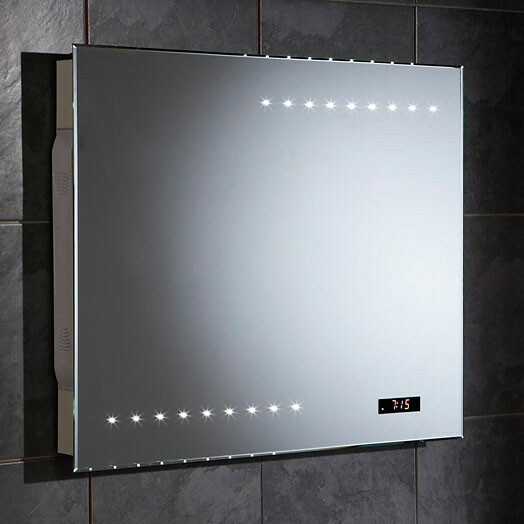 Radio Star Acoustia by HIB is a bathroom mirror which has a clock and a radio with LED back lights. 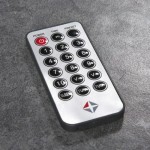 Is it a gimmick “no way” explained my wife then I thought how many times she shouts “whats the time” from the bathroom as she squeezes every last second out of her relaxing bath away from the kids. 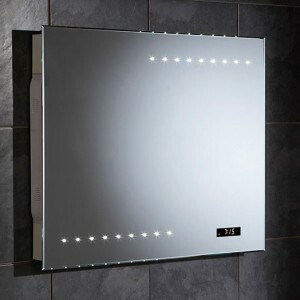 I like the landscape design and the neat bevelled edges to the mirror, the LED lights are good but you would need background lighting as well, and being LED they do not need any maintenance, the clock well its a standard 24 hr clock with a sleep timer and a alarm. 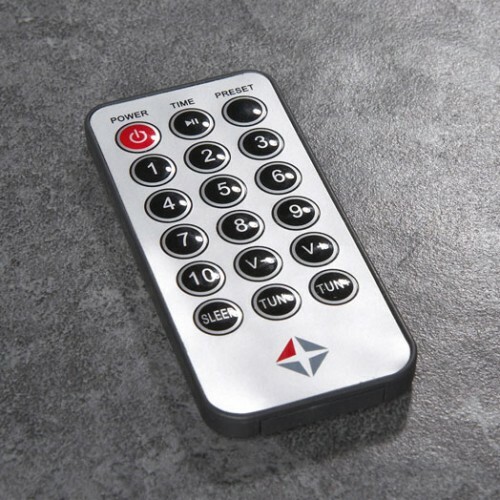 With the built in radio which is FM and stereo speakers with auto tune and a 10 station preset memory, but the bit that is essential is the remote control (see right) which I can see my wife relaxing in the bath tuning in and not shouting at me as a bonus. 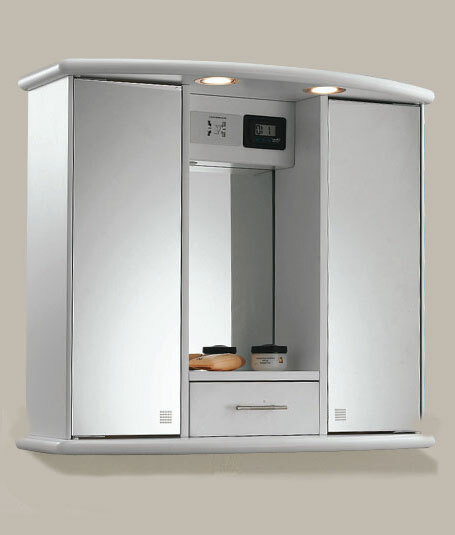 The width of the mirror is 800mm with a height 600mm. You can buy the Radio Star Acoustia mirror clock radio for £293.00 by clicking here. Bathroom cabinets in high gloss white are not my favorite cabinets but when you look around at present there are so many bargins to be had. I have found this single draw bathroom cabinet with two mirrors on Tapstore for just £233.00, it comes with a built in clock a shaver socket, double sided mirror doors, two down lights and glass shelves. It has a nice minimal design would be a neat finishing touch for above a basin in a bathroom.